Mango lassi, one of my all time favourite drinks. I tried it first time when backpacking in Malaysia in the mid 90’s, and I have been hooked since. Just so good that flavour of sweet mango and slightly sour yoghurt. Staying in a cabin on a Mango orchard on the Cook Islands where you were free to pick the ripe mango’s for breakfast, lunch or dinner must be one of my best backpack accommodations ever. I’m surprised actually that I still love Mangoes as I must have eaten so many at that time! Here in NZ you can grow Mangoes, in the north, but they’re not quite the same as the large tropical ones that drip sweet juice and are so soft that you don’t even need a knife to pull the skin off. This week I bought an imported Mango, from Ecuador. I’d rather stick with local produce where I can, but for Mangoes I sometimes have to make an exception. To feed my Mango memories. 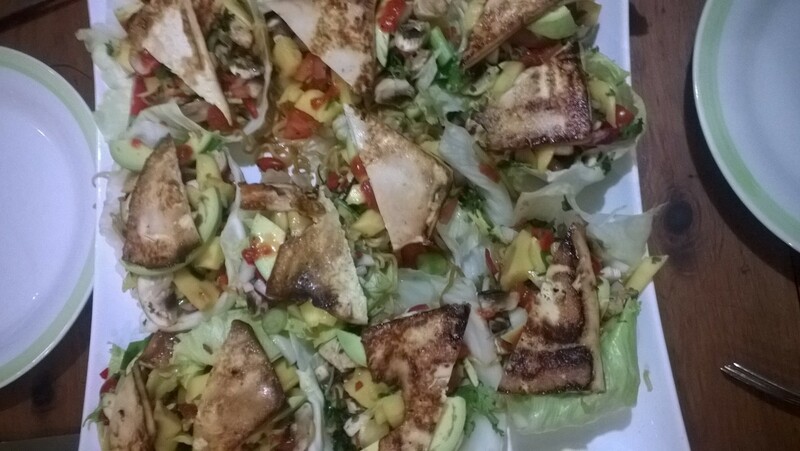 And of course to make great dishes, like mango combined wroth avocado, red onion, tomato, coriander, on sweet spicy noodles served in an iceberg or cabbage leave, topped with grilled tofu. How do you like your Mangoes? 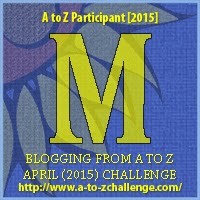 This entry was posted in A to Z challenge and tagged a to z. Bookmark the permalink. I love my mango slightly overripe, juicy and dribbling down my face as I eat it. The King of fruit, there is no contest. I just bought some champagne mangos and I love them! They are so sweet!